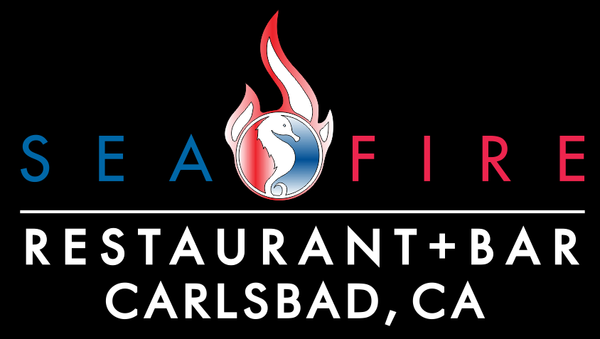 Sea Fire Restaurant in Carlsbad offers a unique and flavorful Mediterranean menu including pizzas, pastas, salads, seafood and sandwiches! Root for your favorite team on one of our four HD-TVs or lounge by the fireplace while you enjoy a cocktail or a craft beer from our full service bar! And enjoy local musicians every Thursday, Friday and Saturday nights playing your favorite songs. We feature 14 local craft beers on draft, a variety of wines from California and Greece, and specialty cocktails. Happy hour is daily from 4 to 7 pm and from 10 pm to close with drink and appetizer specials available. On our Mediterranean menu are grilled octopus, saganaki (flaming cheese), larger than life scallops, local Carlsbad mussels, rack of lamb and the best gyros in town. Or try one of our amazing hand-tossed wood-fired pizzas. Please join us at SeaFire and enjoy our hospitality in a warm and inviting atmosphere.